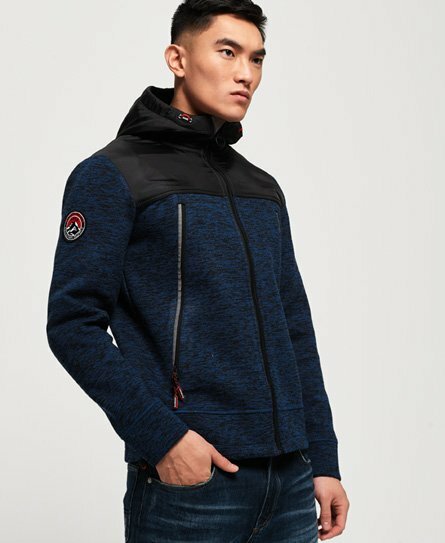 Superdry men’s Mountain tech zip hoodie. Inspired by Mountaineering gear, this zip hoodie is great to throw on when the weather begins to get chilly. This hoodie features a single zip fastening, reflective piping and placket so you can be seen in low light, and two large zip pockets. In addition, this hoodie has a bungee cord adjustable hem, Superdry branded zip pulls, a Superdry badge on the sleeve and an embroidered Superdry logo on the back.